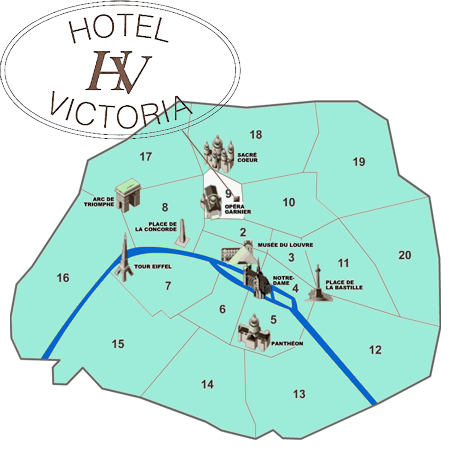 The hotel is situated 10 minutes walk from the shopping area (Galeries Lafayette, Printemps, Zara, H&M…), from the Opera Garnier or 15 minutes from Place Vendôme. La Cité Bergère is situated in front of the“Chez Chartier” restaurant (rue du faubourg Montmartre). The hotel is situated on 2 bis cite Bergère. 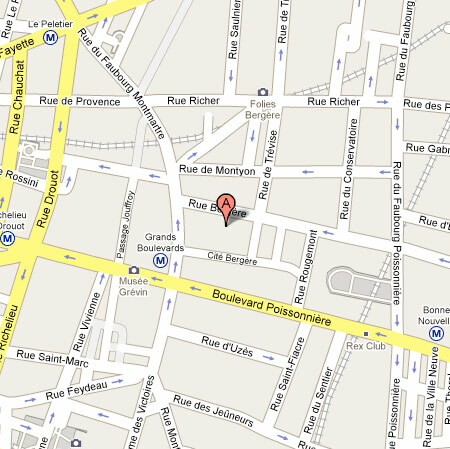 Take « Roissy Bus» and get off at Opera station (rue Scribe). From Opéra take métro line 8 to “Grands Boulevards”.